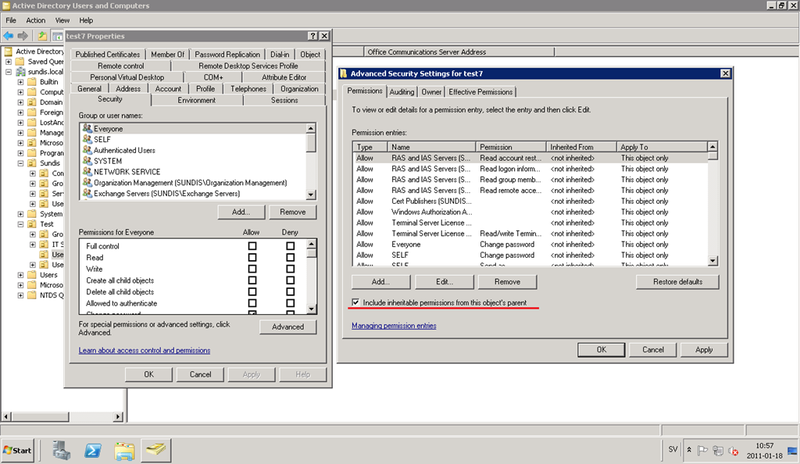 This checkbox in the User object’s Security tab will be unchecked for any user who is a member of the Domain Admins group – this is to protect those accounts from inheriting reduced permissions, and losing access. 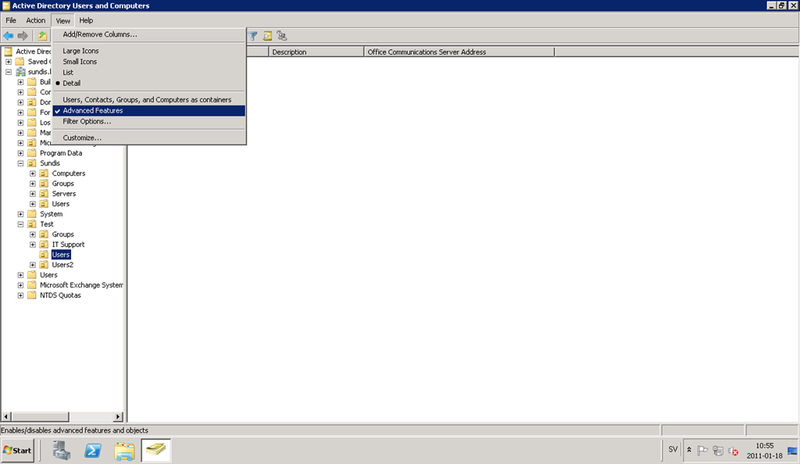 This checkbox will not be re-checked when users are removed from the Domain Admins group. This is yet another reason why you should never use a Domain Admin account for everyday use, such as sending and receiving mail.